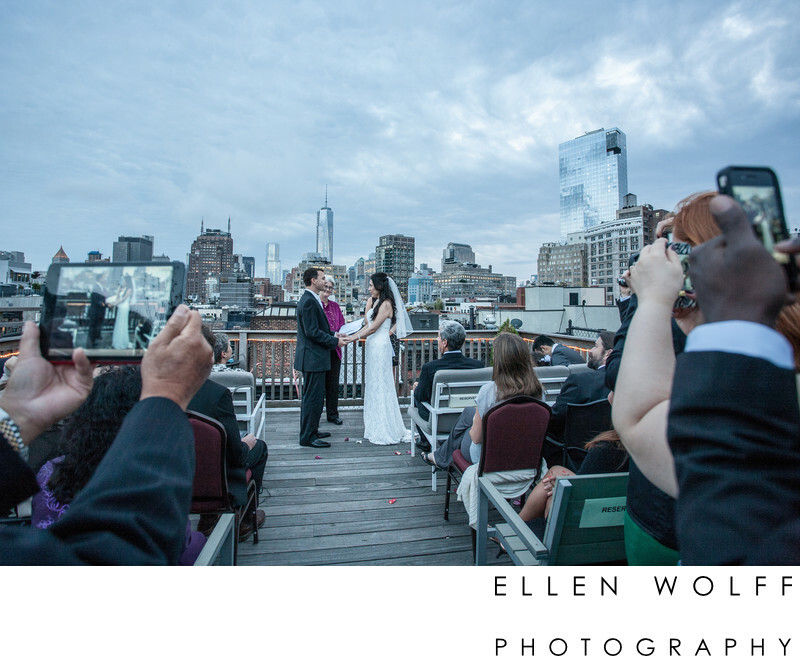 Outdoor wedding ceremony on the outside deck at Lofts at Prince, SoHo, New York City. The bride and groom told me they selected the Lofts at Prince because the brand new World Trade Tower is visible from the rooftop. As you can see the skies were stormy. There was a sprinkle but the bride and groom took a chance and the rain stayed away.Keywords: rooftop wedding (6), SoHo NYC (6), The Lofts at Prince (6), wedding ceremony (27).